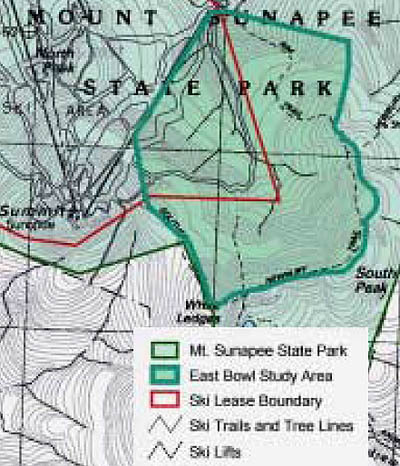 Shortly after agreeing to lease Sunapee from the State of New Hampshire, the lessees from Okemo looked into possible expansion areas. One such area was the East Bowl. Located just east of the Sun Bowl, the East Bowl was found to have old growth forest stands. 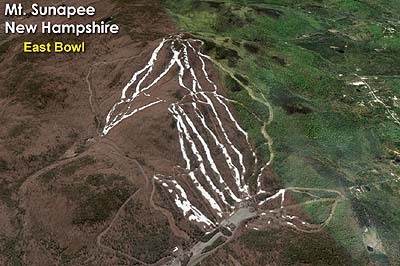 As a result, in 2000 Sunapee and the New Hampshire Department of Resources and Economic Development (DRED) agreed not to pursue ski trail development in the East Bowl area.